Order in the next 3 hours 25 minutes and your package will ship on Monday, April 22. For engraving, order in the next 2 hours 26 minutes and your package will ship on Monday, April 22. 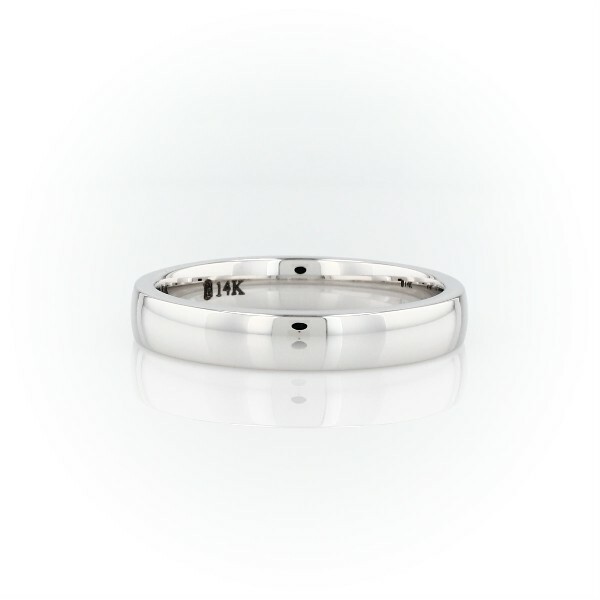 Modern in appeal and premium in weight, this 14k white gold wedding band features a contemporary low dome silhouette with rolled comfort fit edges for comfortable everyday wear.